Contact us today to schedule a no-obligation quote for residential cleaning services in Charlotte. Have you ever given up on your list of cleaning items because it’s just too much to handle? Do you ever wish you could hire someone who could really give you home a good cleaning? At Fiv5 Star Cleaning, we have just the solutions you need with our cleaning services that are tailored specifically for you and your home in Charlotte, North Carolina. Whether you need a move in/move out service or you are looking for recurring residential cleaning options, you’ll find our comprehensive list of cleaning services is geared towards you. Contact us at Fiv5 Star Cleaning today to schedule a free estimate at your home! You’ll see why we offer Charlotte’s BEST house cleaning services! 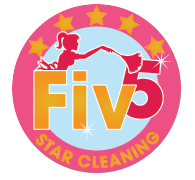 Fiv5 Star Cleaning provides maid services to homeowners and business owners in the metropolitan Charlotte area. If your home or business is located in Mecklenburg, Union, East Gaston, Cabarrus or South Iredell county, we most likely will be able to provide you maid services. Charlotte, Concord, Cornelius, Gastonia, Mooresville, Rock Hill, NC. Why is Move-In Cleaning Your First Step?